Whoever would have believed a day could dawn when Manchester City playing away to Bayern Munich in the Champions League would be considered something of an anti-climax? Men in white coats would have had you off to the ‘Funny Farm’ faster than you could sing ‘Stuart Pearce’s Blue & White Army’ as you stood on the crumbling Saltergate terraces, with Manchester City tumbling to yet another ignominious cup exit, this time to lowly Chesterfield. I’ve selected the embarrassing Carling Cup defeat at random – blimey there are so many cup humblings from which to choose – but back in 2006, to even dream of setting foot in Bavaria in combative mode was the stuff to get a City fan institutionalised for a very long time. Seven years on, it’s permissible, any incarcerated City fan might have hoodwinked a panel of ‘medical experts’ to set them loose back into society, just in time to see the boys in blue go up against the reigning European Champions in their own magnificent Allianz Arena backyard. But the perverse madness doesn’t end there, having seen the unthinkable become reality. Having earned the right to play the best of the best in the most glamorous of all football competitions, City’s supporters, players and management are focusing on a domestic clash with Arsenal this coming Saturday lunchtime, almost dismissive of the tussle with the teutonic titans. How bizarre, how utterly bloody bizarre but oh, how so true. The only glory to be had in freezing Germany would come from something as unlikely as actually playing Bayern Munich in the CL seemed all those years ago – a City win by three clear goals. Having witnessed the Munich master class so mercilessly inflicted on my beloved blue Mancunians just a few short weeks ago, it simply isn’t going to happen. So Pellegrini’s pragmatism will win through and City will send out a less than full strength side to try and preserve the club’s honour and dignity in the face of adversity. With a top of the table Premier League shoot out looming against the Gunners, it’s likely that City’s marksmen Aguero and Negredo will be spared the chilling temperatures, remaining snug as bugs in substitute’s rugs on a warming bench. The mission to fire City to one of the biggest comebacks in recent Champions League history will fall to a man who seemingly craves a move back to Deutschland – Edin Dzeko. Reliable sources have it that the unhappy Bosnian wants to leave the Etihad if a decent offer comes in, with Borussia Dortmund reportedly interested in taking him back to the Bundesliga. Well what better way of showing prospective suitors what their Euros will get them by producing a stellar performance to an audience used to seeing Edin the Great in his Wolfsburg heyday. Shop window – will Dzeko get a chance to tempt buyers from the Bundesliga? Who knows he might come out of his sulk long enough to show his mettle, so as long as he doesn’t trip over his lower lip. OK, that’s a tad harsh, especially when we recall the equaliser that paved the way for the Aguerroooo moment, but bloody hell, how many chances does a guy need to prove his worth? All the talk about him being a ‘confidence’ player…what a load of baloney – his mental toughness must be as fragile as an ostrich egg attached to a jackhammer! It isn’t going to happen, but why can’t Pellegrini find some minutes for the likes of John Guidetti and Marcos Lopes, City’s young guns who have no fear, and just tell them to go out and have some fun. It has to be better than Dzeko going out with a face like my backside – something best kept out of sight! 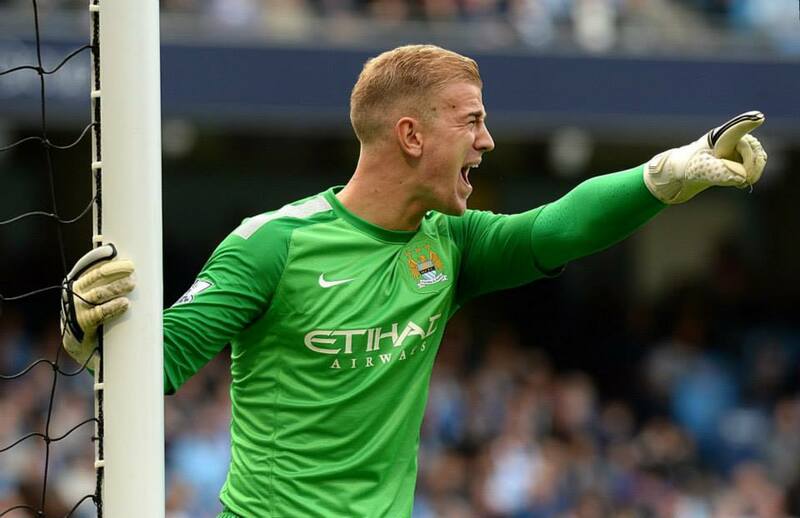 Hart transplant – can Joe win a recall to put him back in the starting XI against Arsenal? One player who does deserve recognition is England’s number one goalkeeper, Joe Hart who, since being punished for his mistakes at October’s end, has produced two excellent displays for club and country. No sulking, no brooding, you just get a sense that Joe is aching to get back in and prove all his doubters wrong. There are plenty of City fans who are happy for Costel Pantilimon to continue in goal, but Joe IS A SUPERIOR keeper and it’s time for Manuel to stop playing silly buggers. Admittedly,Pants has done nothing wrong since being promoted to the first team and I don’t delude myself that Pellegrini will select Joe for the Arsenal match up, but a convincing display from Joe will put any self-respecting City fan in good heart, irrespective of the outcome. David Silva should see some action – even if only as a substitute – after his enforced lay-off, but enough to knock the cobwebs off to have him in contention as a starter for the weekend. Magic – will Merlin get a chance to shine in Munich? Samir Nasri has well and truly stepped up to the plate in Merlin’s absence, evidenced by the new warmth extended to him by the Etihad faithful, but an in-form Silva will always surpass the Frenchman. City’s midfield will need reshaping after Yaya’s most ‘unfortunate’ booking against Plzen in City’s 4-2 home win. Certainly, most definitely no comparisons with good old DJ Campbell, but if ever a man wanted to ensure he was available for the knockout stages of the Champions League it was Yaya. 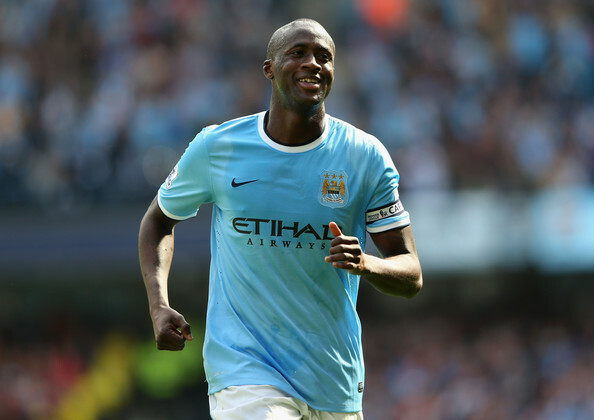 He achieved his objective so good on you Yaya! With every result contributing to the ‘co-efficients’ that dictate a team’s standing in the overall European rankings, City will still want to achieve the best outcome in the circumstances. On that basis it is likely the likes of Richards and Rodwell could be drafted in as replacements for Zabaleta and Yaya. 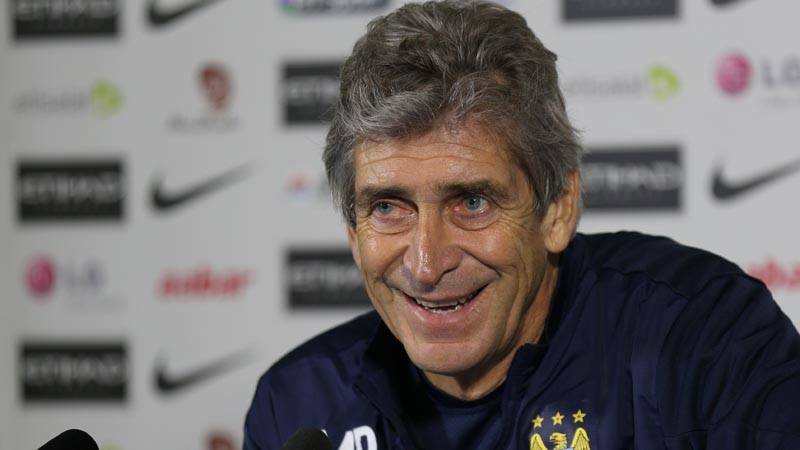 Demichelis is likely to be preferred ahead of the more deserving Lescott. He’s Manuel’s man, plus there’s the sentimentalism of going back to Bayern, the scene of his most glorious playing days. Javi Garcia – the £16m man we were told could do everything that Nigel De Jong did and in addition, could play an outstanding forward pass and head the ball – will probably get a run out. Whoever convinced Ferran Soriano, Txiki Begiristain or Roberto Mancini that the above statement was in any part true, should be the subject of a global Interpol warrant for fraud. A firing squad would be too lenient a punishment for talking double dutch…a single Dutch would serve City far better than the insipid Spaniard. At the very least City fans can sit back prepared for the worst but hoping for the best, safe in the knowledge that their team is in the Last Sixteen draw in Nyon on Friday 13th. Having avoided the Group of Death will Pellegrini & Co be feeling lucky with the prospect of either of the Madrid clubs, Barcelona or PSG as likely opponents next February? I love this David - written only as a long suffering City fan with award-winning style can write - alongside illuminating substantiation, such as Chesterfield and gorgeous grammar to boot - City should get you on board asap! Great read David .. Loved the bit about Garcia and spot on .. Lets hope we keep it respectable in Munich and then bring out the heavy artillery for the Gunners . 3 Points on Sat will see us at the summit by the New Year I believe . I can't quite believe what I'm saying but I'd much rather have 3 points on Saturday as in truth it's one of the best chances we have of a trophy this year. Onwards & upwards for the mighty blues!! Thanks Guvnor - so are you saying Pants should be City's No 1 keeper for the foreseeable future? Great stuff David. Hope you are right and that we play a somewhat weakened team. However I think the last thing Pellegrini ( and the club ) want is a 5-0 drubbing, especially after the way we were dismantled at the Etihad. He's a proud man and won't want us to become a laughing stock again . He could keep the scoreline down by playing a more cautious formation. He could match them in midfield for a start. That is what Mancini would do and that's why our results against Bayern under him were fairly respectable in comparison. Whatever it is....quite apart from Garcia....I am hoping he doesn't play Micah Richards. The sight of him charging forward like an elephant with absolutely no end product is, for me, one of the ugliest sights in football. Thanks Carole - it begs the question WHAT HAS HAPPENED to the prospect that once was Micah Richards? A win would be nice but as long as we dont get a drubbing i will be quite happy if MP rests a few players. I agree with you & Carol what happened to the Micah Richards we all loved. It's a shame because Micah was an outstanding prospect but he just doesn't appear to have improved as we would have expected. As you say, David, Bayern Munich away in the CL twice in two years....pinch me! Luckily, a totally different game this time round, with qualification secured. I have a feeling we'll come out of this with a 1-1 draw, as Bayern also may rest players, and don't require a result, but we'll see. An interesting selection ahead for Pellegrini. Draw would be more than credible. We all seem to assume Bayern will be playing a full strength side against our B team? Fingers crossed they also ring the changes to protect their star assets and City sneak a 1-0 win. Don't see City winning it by the required 3-0, but let's hope whoever takes to the field gives it maximum effort. Interesting to see if Dzeko does his best tonight, while in Germany, might well be an indication of a change of scene in January. Come on blues, surprise us and the whole of Europe! Bayern obviously want to keep hold of top slot so it won't be easy. Looks like they're playing Phillip Lahm so that indicates they're not taking it lightly . Robben is injured & a win would be delightful to buoy spirits of travelling support & help the Euro co efficient, but by 3 goals - nein! Disagree that Joe Hart is abetter keeper than Costel. How can you say that Mars Bars are better than Snickers if you never tasted Snickers? Pants has had a few games in goal and has shown that he is every bit the keeper that Joe is. Until a time comes when Costel starts throwing the ball into the net like Hart did, we cannot say that the Englishman is the better keeper. I admire your patriotism however and accept your tabloid journalism tactic of getting the majority "on-side". The fact remains that Joe has not shown himself to be a better keeper than Costel. Though granted, it is early in Costel's career at City and he has plenty of time to muck things up too. Thanks Anthony - guess we're going to have to agree to disagree. Nothing against Costel, but I don't believe he is as good as Joe overall. Some folk have no idea how bad it used to be - losing at Shrewsbury Halifax Chesterfield & then dropping into the 3rd tier. I share disappointment whenever we lose but perspective always ready at hand. Great article as always David. Whether you write a preview, a post match report on a humiliating defeat or a glorious review of a sumptuous battering we have handed out to a rival, I am always left with a smile on my face - My thanks. Love the observations re Mssr's Dzeko and Garcia and the sooner we can say farewell to these guys and regularly promote the hungry young talent in the club, the better. Thanks MT - memo to self: must try harder on the Grim Reaper impersonations! Yes the players owe the fans a full blooded performance - folk have spent time energy & money to be there so give them something of which to feel proud!